Many industries have reason to use chemicals. They are used in laboratories. However, chemicals are also used in the farming industry, the cleaning industry, factories, and many other types of businesses. Because there are so many uses for chemicals, there are also many different reasons for needing to weigh or measure chemicals. Some of these reasons may require pinpoint precision and accuracy, while others may be fine with a simple ballpark measurement. Because of this, there are many different types of scales that can be used to measure chemicals. Chemicals can be measured with scales, such as platform scales and hanging scales. 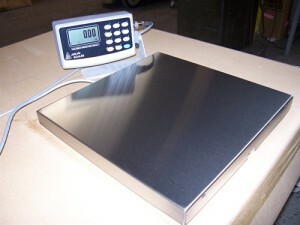 Platform scales can be used to easily measure small quantities of chemicals. Dry chemicals are simply placed on the platform of a small platform scale. Liquid chemicals would need to be weighed inside a container. The weight of the container must be subtracted from the total weight, registered by the scale. In most cases, this platform scale would be a small tabletop version. Most platform type scales have a digital readout that will register the weight of the object once it has been placed on the platform. Digital platform scales should even include the ability to change the types of units that are being measured. Chemicals can also be weighed with hanging weights. Some sort of container will need to be used for this method to weigh chemicals. A scoop or pan can be hung from the hanging scale to measure dry chemicals. The scoop or pan must be subtracted from the total weight to get an accurate measurement. For liquid chemicals, another container may also need to be placed on the scoop or pan. However, it is important to remember that in this case, both the container and the pan will need to be subtracted from the total weight to get an accurate weight of the chemical. There are many different reasons to weigh chemicals. Because of the variety of reasons, there are also many different types of scales that can be used to weigh those chemicals. Anyone in need of chemical scales should evaluate the reasons for their needs then, the proper type of scale can be determined. No matter what kind of scale you need Arlyn Scale can help you find it. Be sure to visit Arlyn Scales at www.arlynscales.com today!